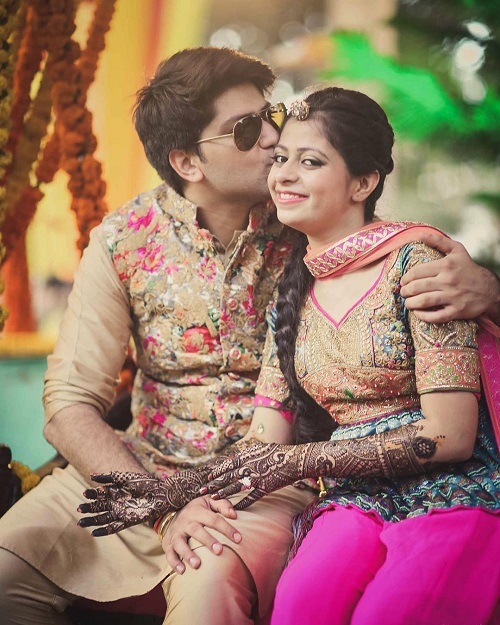 #Aww: Brides & Grooms Who Matched Their Wedding Outfits! Coordinating your wedding outfits may seem like a task but, trust us, it's not that difficult really! 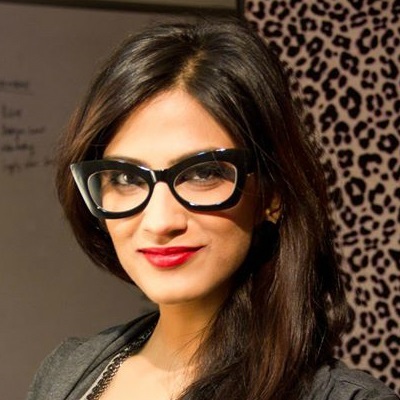 Besides looking super-cute, colour coordination looks extremely nice in pictures too. I mean, imagine how would it look if you wore a blue lehenga for the engagement and he turned up in a pink shirt! Naah! So save yourself the surprise (or shock!). 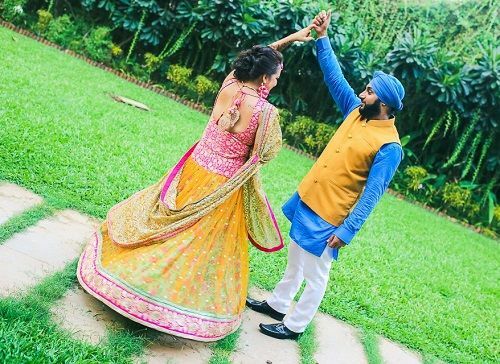 Check out these 5 couples who are giving us some major colour coordination goals! He just picked a jacket that matched the yellow of her lehenga. See, it’s as easy as that! While the two of them have other colours too in their look, they’ve picked one common colour and made it their own. And we sure love this cheery yellow pic! Click here for more pictures from their super fun wedding. Image: Two Fireflies – One Camera! It’s okay if you do not want to go all out with the matching. 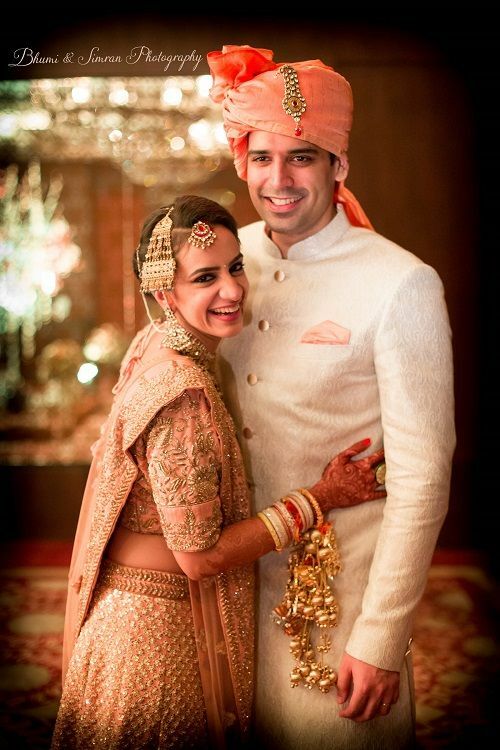 One of the easiest ways to be in coordination with your bae is to match the shaadi lehenga with the groom’s pagdi. Now that’s something everyone should do! 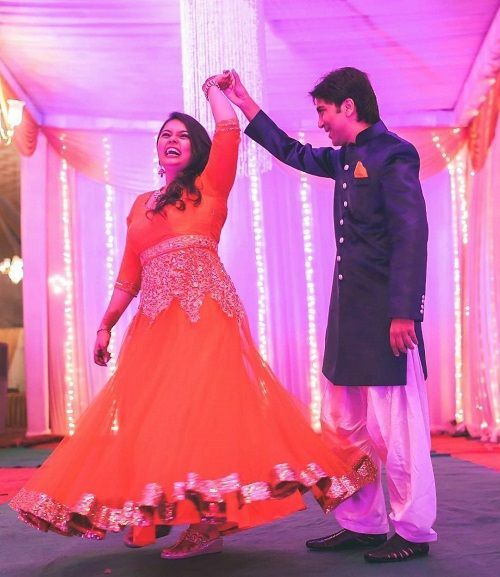 We love this bride’s peach lehenga and to be in sync with her, the groom wore an off-white sherwani and a matching peach pagdi. Such cuties, these two! Confused on how to go about this whole coordinating thing? Well, the easiest thing is to get your man a pocket square to match your outfit. Don’t you think this couple looks totally in sync even though one is wearing red while the groom wears blue. Just that one pocket square did the trick! Image: The Cheese Cake Project on Instagram HAVE A STORY IDEA FOR POPxo? If you want to hear about it, we can write about it! Just tell us your idea here! 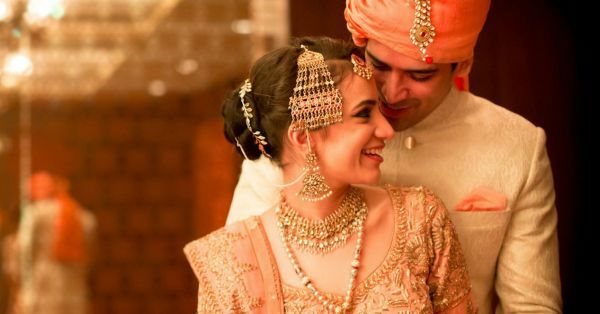 MUST-READ: These 6 Grooms Looked SO Good At Their Shaadis! 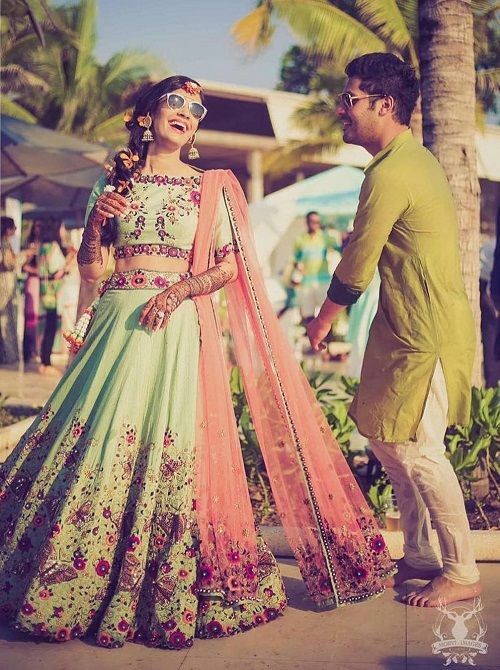 MUST-READ: 7 Colours For The Bride Who Doesn’t Want To Wear Red Or Pink!